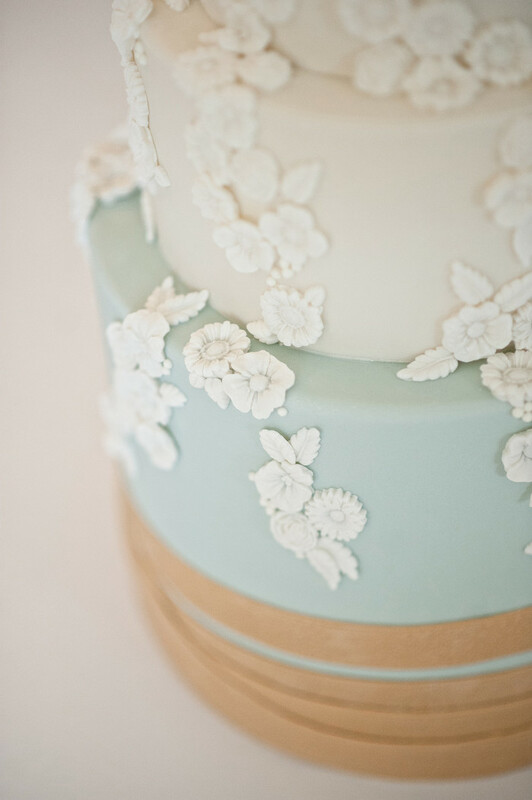 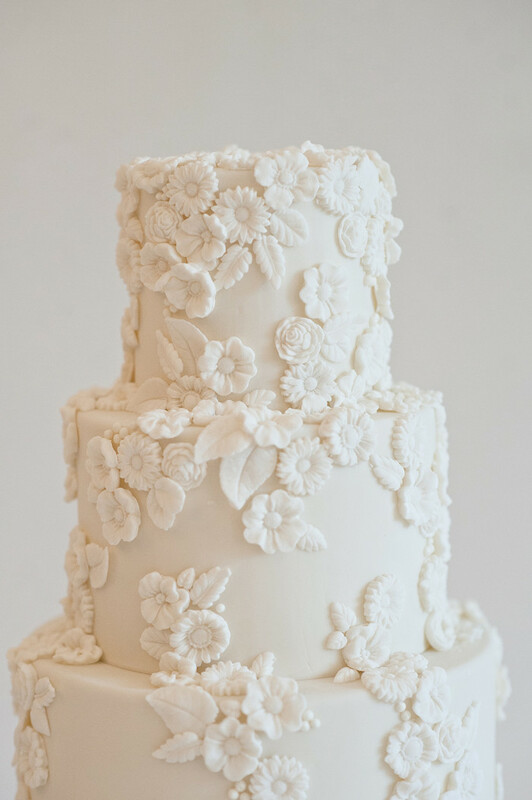 Molded, off-white, sugar flowers and leaves drip down this cake design creating a delicate yet highly intricate texture drawing you in for a closer look. 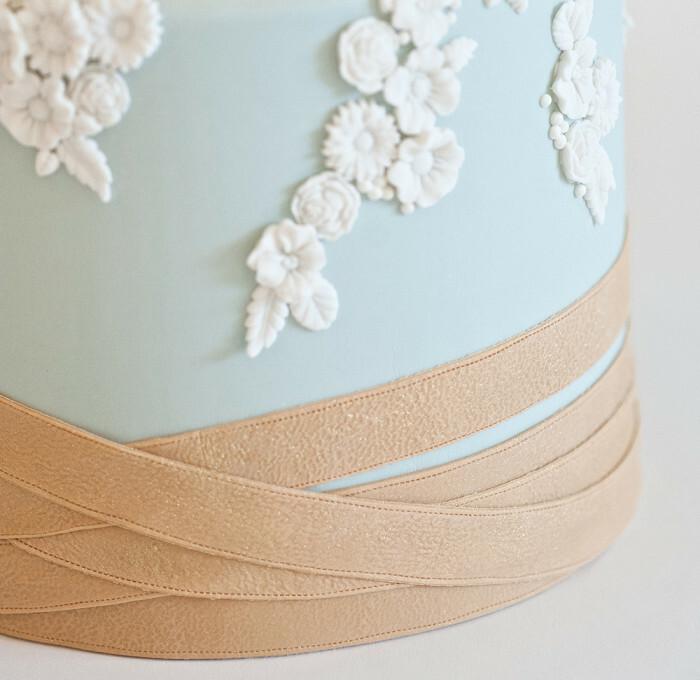 Belted several times, the sage-blue bottom tier is wrapped in a fashionable sugar, “leather” accent piece. 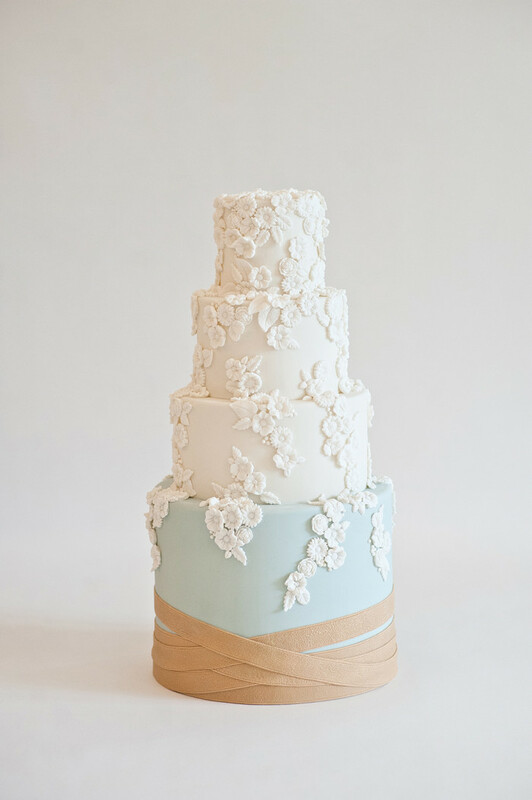 Andi is for the Bride wanting a little extra “something-something”.